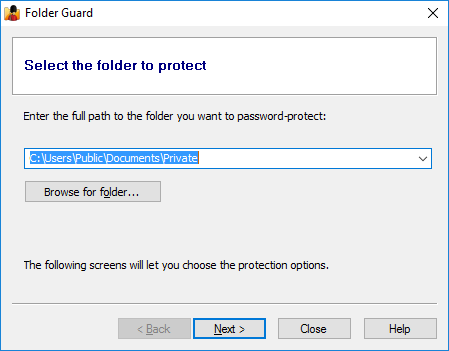 Now let's see the password protection in action: run Windows Explorer and navigate to the folder you've just protected. Instead of the files in the protected folder, you should see the Unlock button. 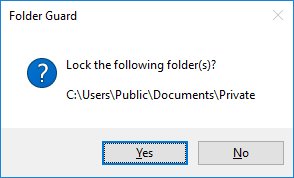 How to lock the folder back? 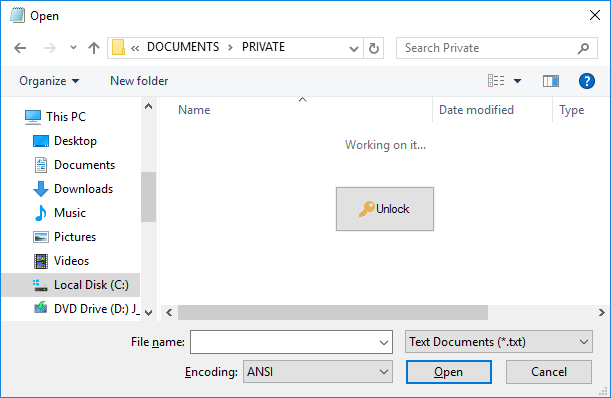 You can also close the Explorer or application window that you used to unlock the folder. 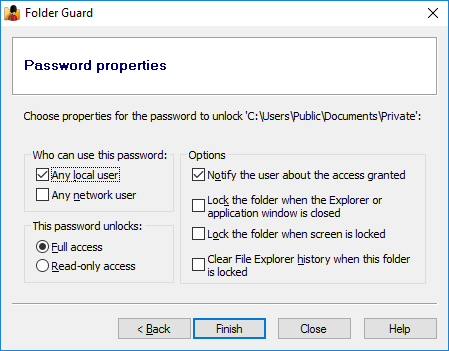 If you have previously chosen the Lock the folder when the Explorer or application window is closed option on the Password properties screen for this password, then the folder would be locked immediately after the window is closed. If such option was not selected, then you would see a confirmation message shown above. 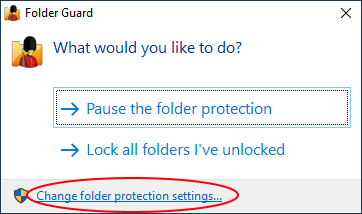 - Right-click on the protected folder in an Explorer window and choose Lock from the shortcut menu. (This command is only available if you have previously chosen the option to add the Lock and Unlock commands to Windows shortcut menu.) 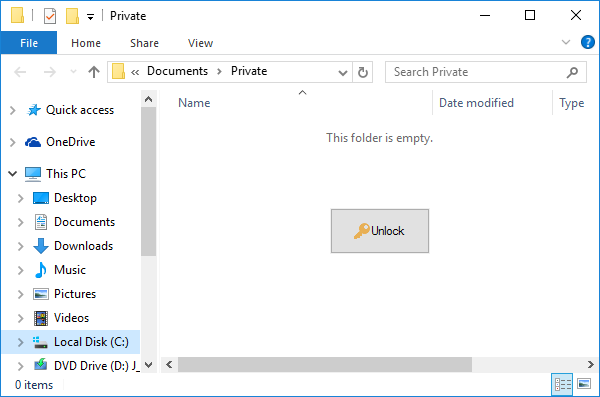 This method works with any Explorer or Open/Save As window, in addition to the original window that you used to unlock the folder. - Run FG32.exe (or FG64.exe) with the appropriate command line option. Can I unlock the folder from other applications? 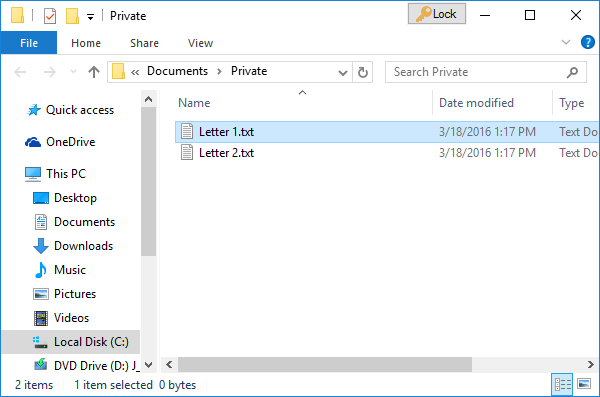 Can I add several passwords to the same folder? Yes, each folder can have up to 4 different passwords, and each such password can have different properties. For example, one password could unlock the full access to the folder, and another password could provide only the read-only access. 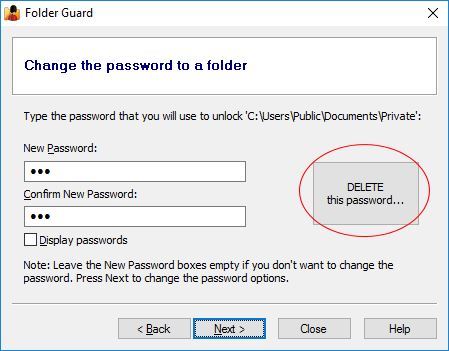 This way, you could give the first password to people who you trust to make changes to the files in the protected folder, and give the second password to the users who could view the files and documents there, but not save the modifications back to the protected folder. How to remove the password from the folder? 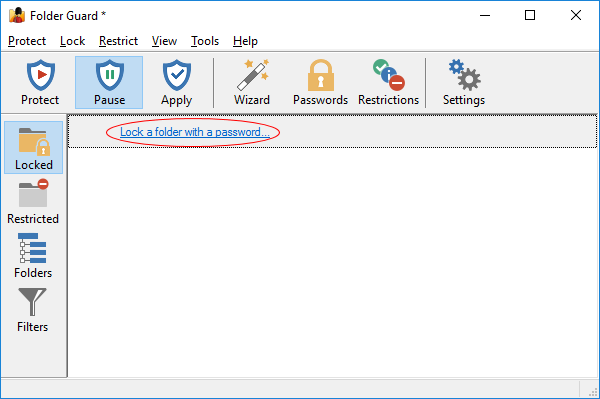 Can I password-protect files and programs? 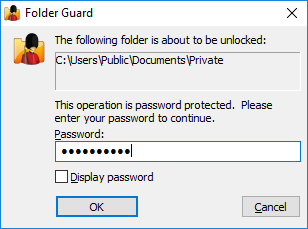 No, only folders can be protected with passwords, sorry. The files and programs can still be protected with restrictions and filters. Does the password protection work over the network, too? Yes, if you've selected the Any network user option for the password, then any user connecting to the shared folder via a LAN network can unlock the folder by entering that password. The locking and unlocking methods in such a situation are different, though. 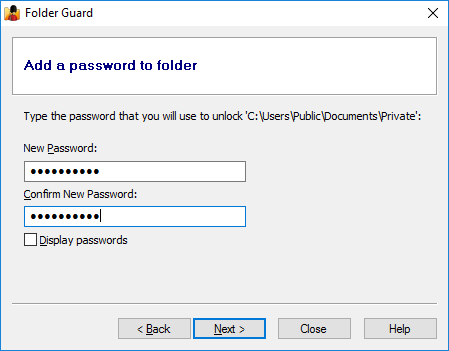 Can I password-protect a subfolder within a folder that already has a password ? No, if the parent folder already has a password, its subfolders cannot have passwords, too. Likewise, you cannot create a password for the parent folder of a folder that is already password-protected, or restricted otherwise. I've unlocked a shared folder, but other users still cannot access it, why? 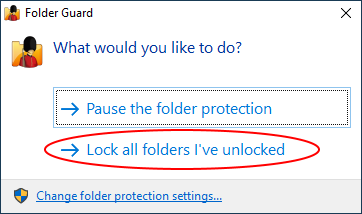 When you unlock a password-protected folder, it opens access to the folder only for you, the user who actually unlocked it. Other users must enter the password themselves in order to gain access to the password-protected folder.